Many cases of traumatic brain injury are preventable. We found that at our medical center in Rochester, about 25 percent of traumatic brain injuries were do to some sport or recreational injury. So those are opportunities that if people wear protective devices, like helmets, they can be prevented. Now, when we get someone in the ED who's already had a traumatic brain injury, it's kind of like the horse is out of the barn in terms of talking to them about prevention. But what we really need to be doing as emergency providers, is talking to other people who have injuries to other parts of their bodies, like legs and arms, and reminding them that helmets are a great way to prevent brain injuries, especially when you're riding your bicycle and doing contact sports. So education is vitally important in preventing the next traumatic brain injury. We do things like with our patients in the ED. We have posters up in the waiting room that remind people to wear helmets and seat belts, since wearing a seat belt is an excellent way to prevent a traumatic brain injury in a car accident. Lay media, TV shows, and movies, unfortunately, kind of trivialize the effects of brain injuries, so you'll see an action character who gets hit in the face, briefly knocked out, gets up, and runs down the street to kill the bad guy, or maybe he's frankly unconscious for a long period of time and he gets up and runs away as if nothing happened. That's just not the case. Even the most minor, mild traumatic brain injury can have long-lasting affects. And really, the term mild is kind of a misnomer. It's probably not the best term to use because people can have symptoms that last 6 months to even a year. So unfortunately, the media--I think they're just trying to entertain audiences and, unfortunately, trivialize this injury. 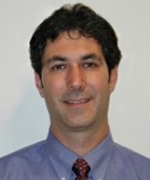 Dr. Jeffrey Bazarian is an emergency physician with a strong research interest in traumatic brain injury. He is an associate professor of Emergency Medicine, Neurology, and Neurosurgery at the Center for Neural Development and Disease, University of Rochester Medical Center. This is BrainLine's exclusive interview with Dr. Jeffrey Bazarian recorded on September 26, 2008. See more videos with Dr. Jeffrey Bazarian. Posted on BrainLine April 1, 2009.